The new school year starts this coming week here in Australia. It is a very hot ending to summer holidays, it is 39 degrees here in Melbourne today. This year it is only my youngest that’s going back to school. She has two more years of high school and she still likes my homemade pencil cases. 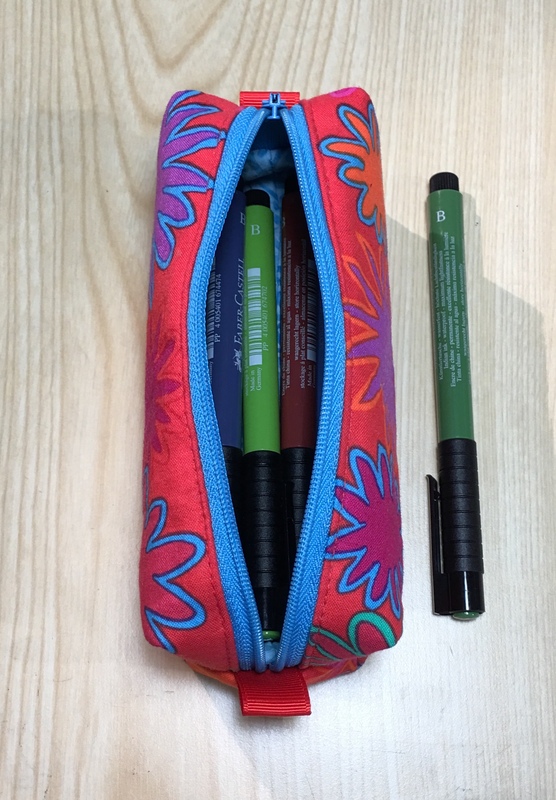 I made one box pouch that I was going to use myself, but she thought it was great for some shorter brush pens, so naturally I gave it to her, happy that she likes the things I make. You can find the tutorial here in one of my posts from 2016. Let me know if it is too hard to read. I am working on my Illustrator skills and planning to make all my pattern pieces digital. Make a quilt sandwich and quilt it anyway you like. This one has a simple 1” grid. 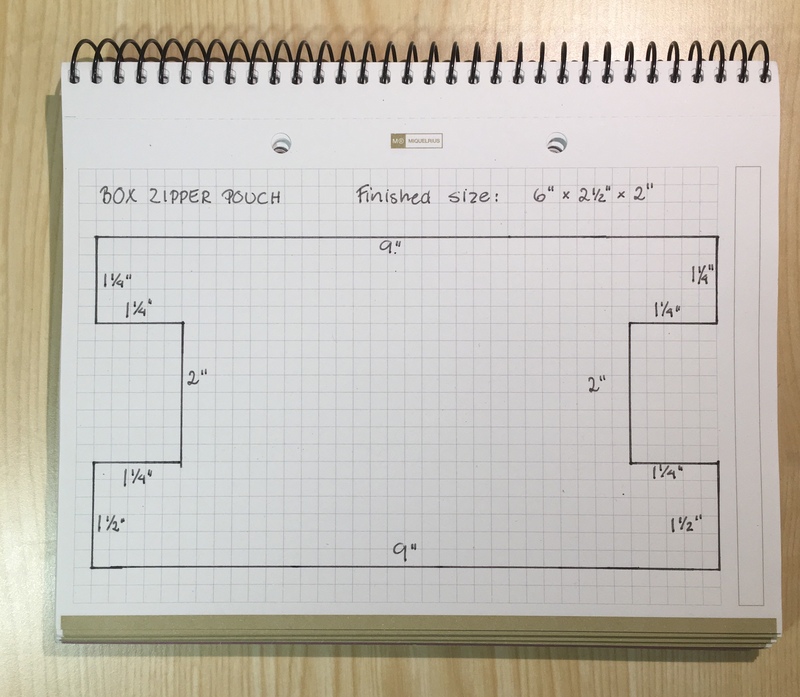 Trim it so it is 1 1/2” longer than the zipper on one side and double the width you want for the other side. 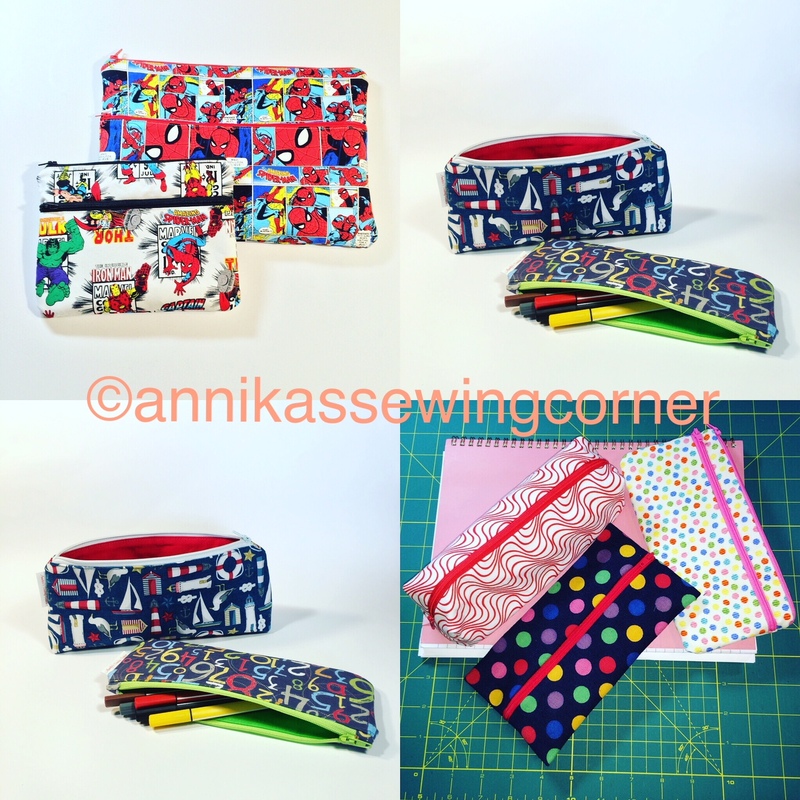 In this case it is a 8” zipper and the pouch is 5” wide so the quilt sandwich is trimmed to 9 1/2” x 10” rectangle. 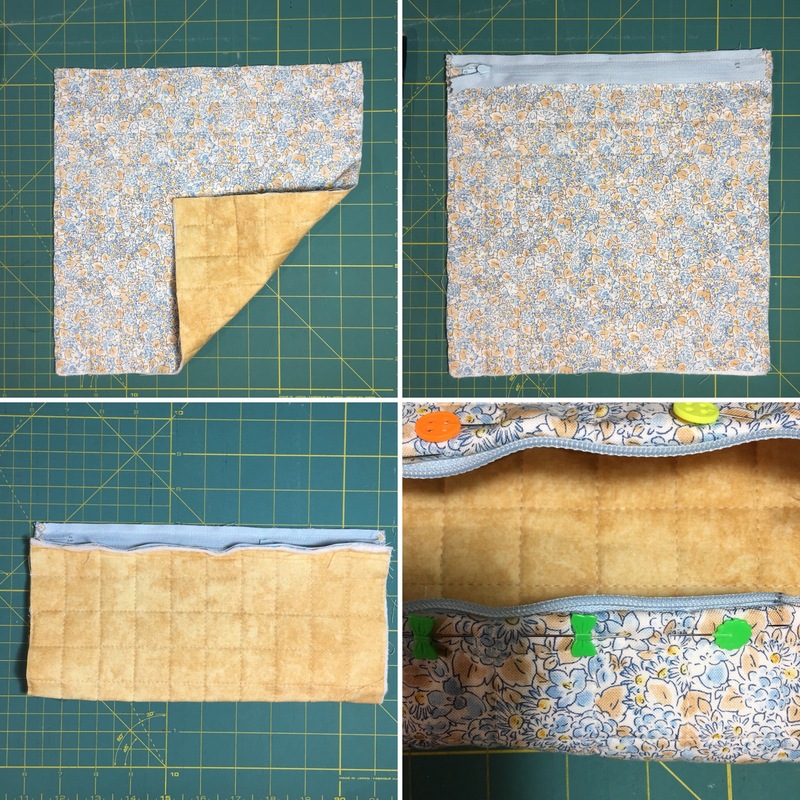 Attach the zipper with a 1/4” seam allowance, right sides together, centred,along the two opposite 9 1/2” sides. Trim the fabric and batting part off the seam allowance to 1/8”. Make sure not to cut the zipper tape. 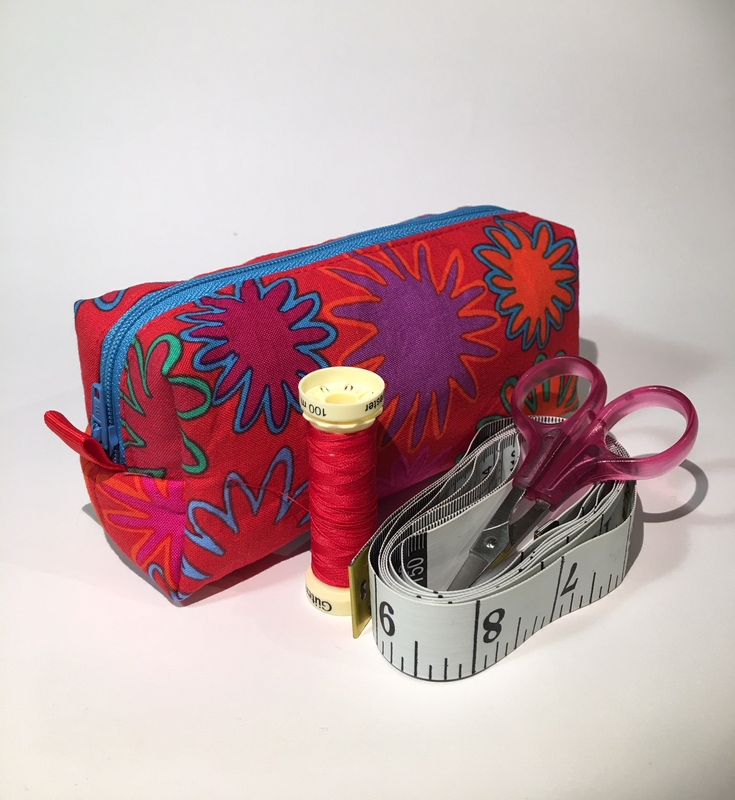 Turn to the right side and fold the fabric away from the zipper but make the fold as close to the zipper teeth as possible. Top stitch 1/4” from this folded edge to make the zipper tape on the wrong side lie flat and cover the raw edge of the fabric. Trim the side edges even 3/4” from the zipper teeth. Fold two 3” ribbons in half and pin to each raw edge, centred. 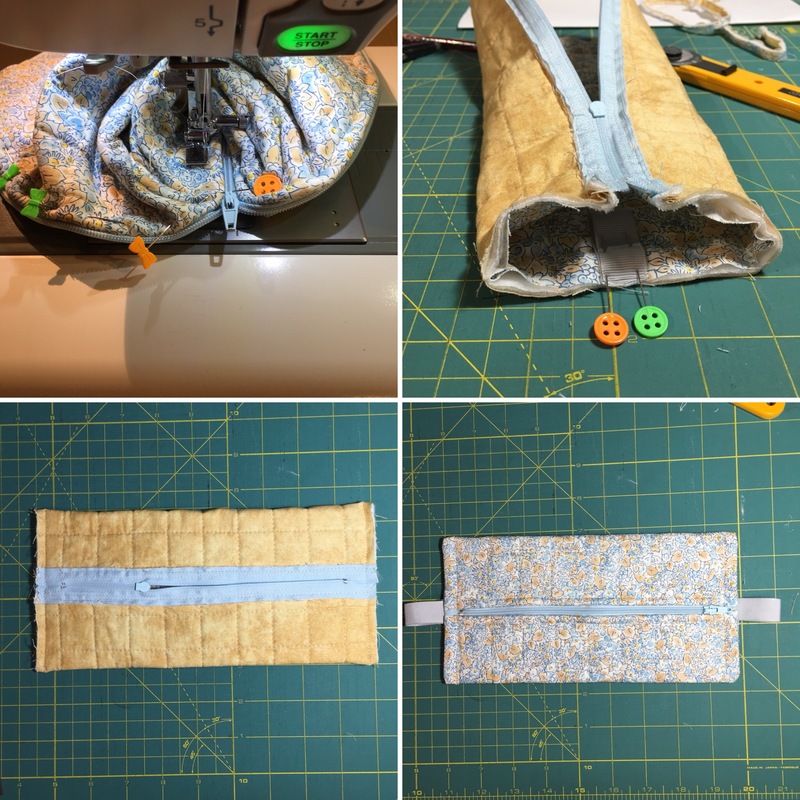 Pin zipper on top of ribbon. Make sure the zipper is open, at least half way. Stitch both edges with a 1/4” seam allowance. Trim the seam allowance to an 1/8” and turn to the right side. Top stitch each short edge to enclose the raw edges. Make sure to stitch close to but not on the metal zipper stoppers, to avoid the needle to break. Enjoy! 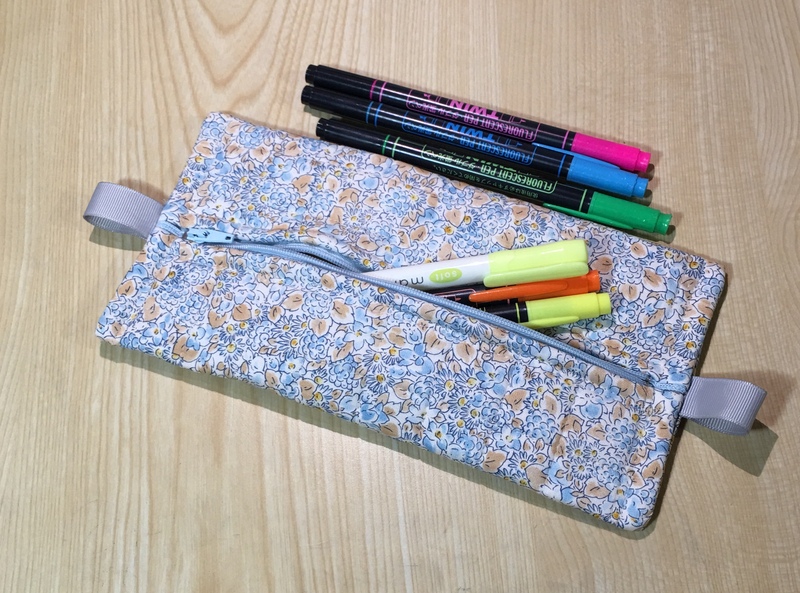 Until Wednesday January 31st 2018 I’m having a 50% off sale in my Etsy shop on my pencilcase patterns.